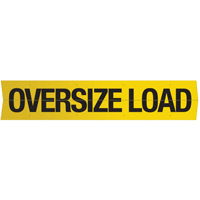 With this Oversize Load Transportation Sign, alert other motorists to keep a safe distance from your overloaded vehicle. 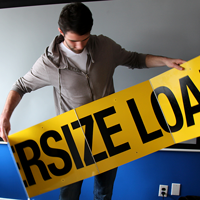 This huge horizontal banner comes with 8 pre-punched holes for easy installation. 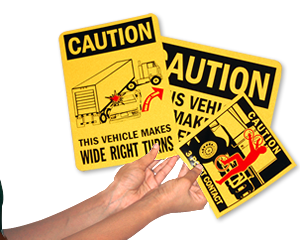 • Rustproof aluminum sign is 63 mil thick aluminum. • Banner is made from durable 63 mil thick aluminum. 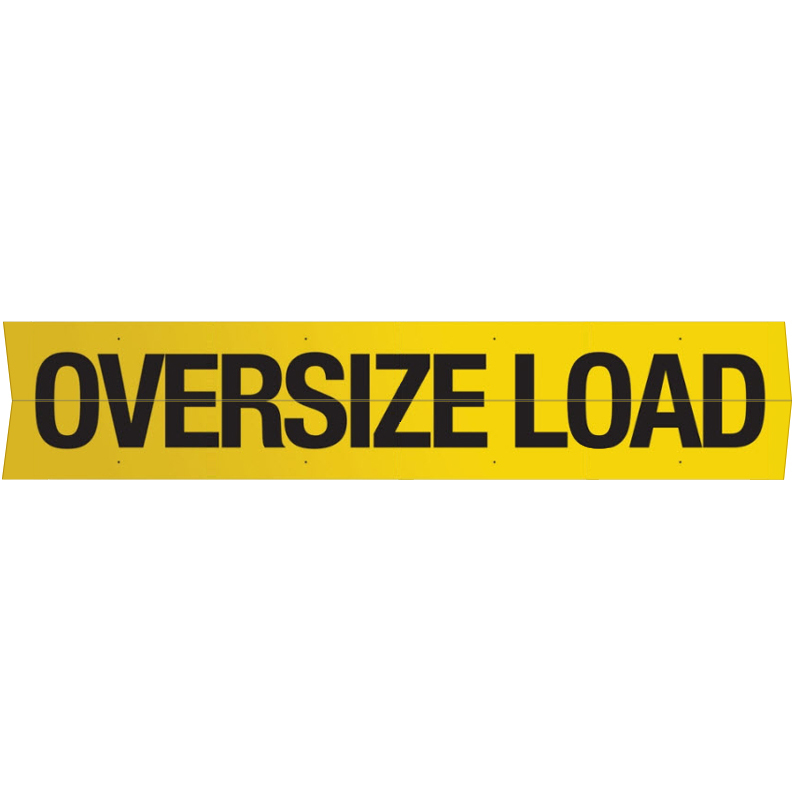 Weatherproof sign will not be affected by rust, mildew, or rot. 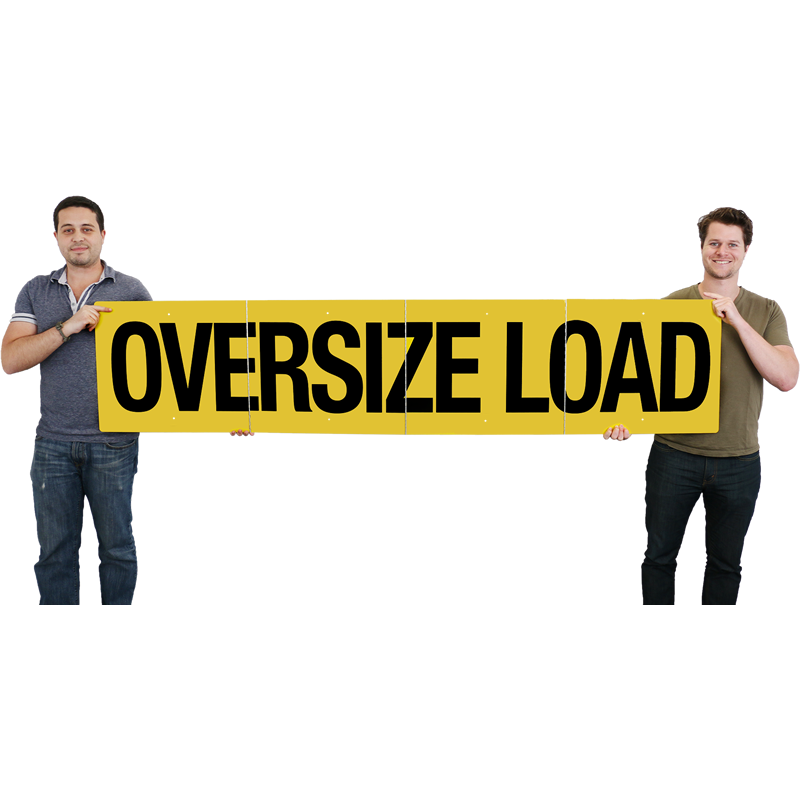 • Banner is suitable for outdoor use and features a baked enamel finish that is screen printed underneath with chip-resistant paint – preventing fading and discoloration which extends the product life. 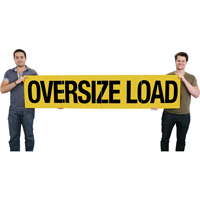 • Unique accordion fold design takes up less space in storage and allows outer panels to be folded over to display a "blank sign" when not hauling an overdimensional load - eliminating the need to remove the sign entirely.